I’ve been meaning to post about this for a while and the only reason I haven’t is I’ve been waiting to take the shots on my amazing new camera but the truth is I haven’t figured it out yet. Nothing is ever straight forward is it and there are just not enough hours in the day when you have little ones. Back to this amazing book though. A few weeks back I was lucky enough to win this special one off crystal encrusted edition of My Mummy Loves Shoes. If you don’t already know about these books let me explain a little more. Clare Grove is a British Author and Illustrator who lives in New Zealand. 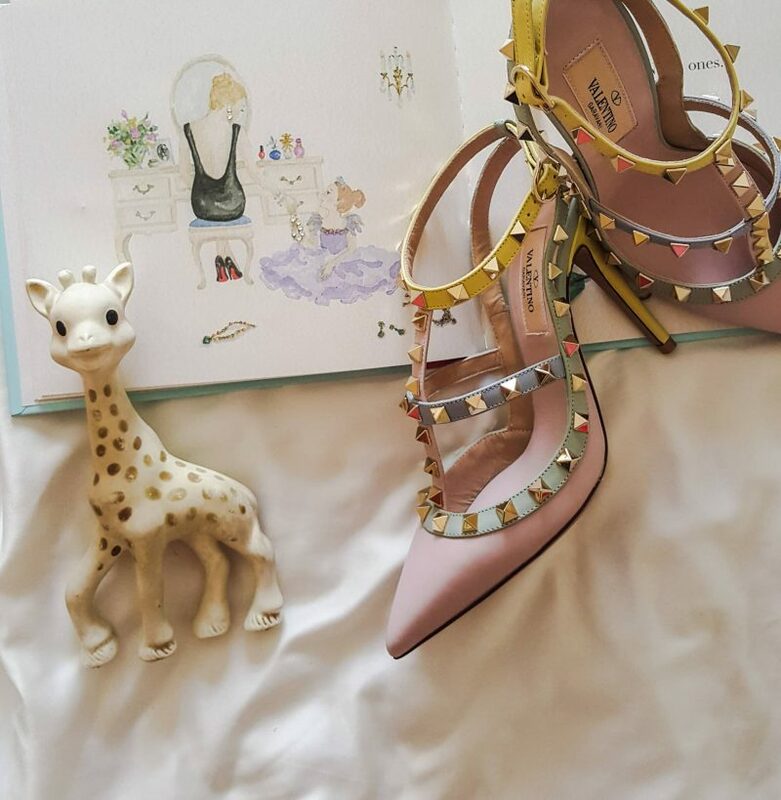 With a passion for shoes Claire has put her talents to creating these exquisitely illustrated books ‘My Mummy Loves Shoes’ and ‘My Mummy Loves Bags’. 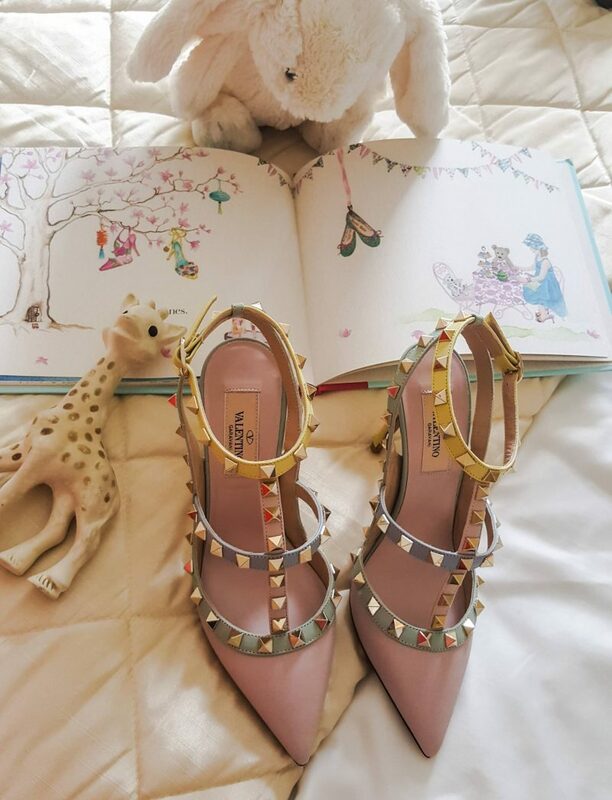 If you are a shoe and bag loving mummy then these books are the perfect addition to your collection and to introduce your little ones to the wonderful world of shoes and bags. 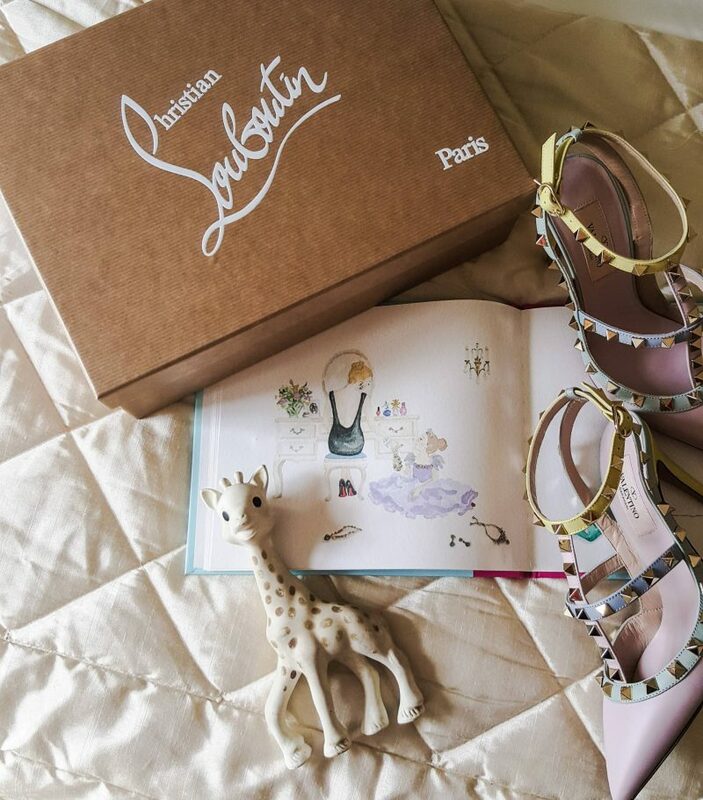 Each page is so beautifully illustrated with all the different types of shoes in mummy’s collection. 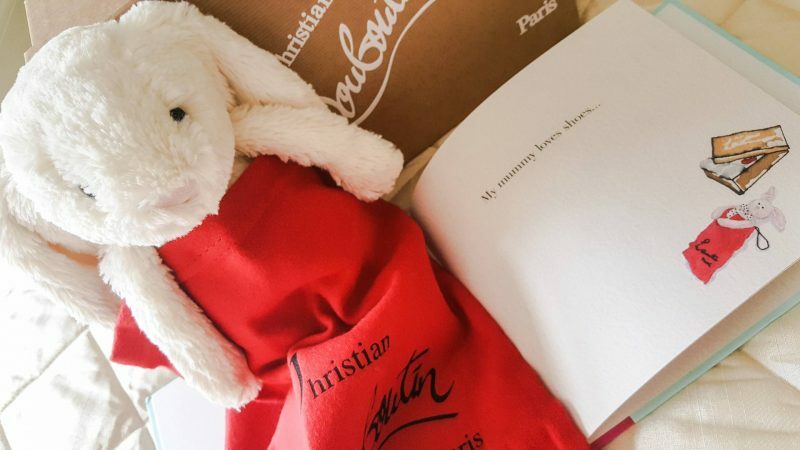 Fashionistas will love spotting the Choos, Manolos or Miu Mius whilst little ones can enjoy finding the little red shoe hidden on each page which my girls absolutely loved trying to spot. You would be forgiven for thinking this was a swish coffee table book and I’m still considering popping mine there for us to pick up and enjoy at quiet moments. Such cute stories but of course most of all mummy loves ME! We love the page with the dressing table too as it is identical to mine!